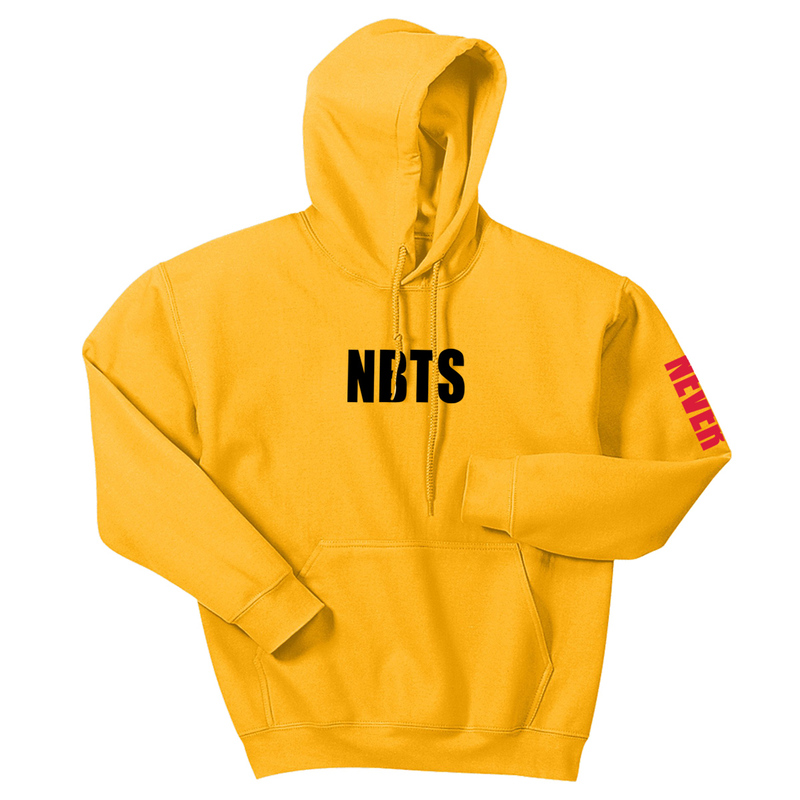 Gold pullover hoodie featuring "NBTS" on the front, "Never Be The Same" on the left sleeve, and song lyrics on the back. me encanto, ha sido el mejor producto que he comprado en mi vida, no puedo dejar de utilizarlo y están bonito, sus colores, letras, todo. lo ame ?? I’m in love really comfortable I can’t stop wearing it estoy Enamorada Con esta chaqueta está bien inscriben bien cómoda la puedo ponerme con todo . after wearing this sweatshirt, i have never been the same. it stops me from crying in the club and i have questions for the creator because the people who made this are my real friends. plus, i can wear it in havana and in the dark. and there are no consequences. and OMG, something’s gotta give these creators everything except for bad things. in conclusion, i would give a crown to the creators!! This hoodie is the best thing ever. I usually hate anything yellow but this hoodie is so warm and comfy and reminds me of one of the best nights ever. Just buy it don’t hesitate. just got this and it fits perfectly! it’s really soft and i love it so much! can’t wait for CC2....ily Camz ???? 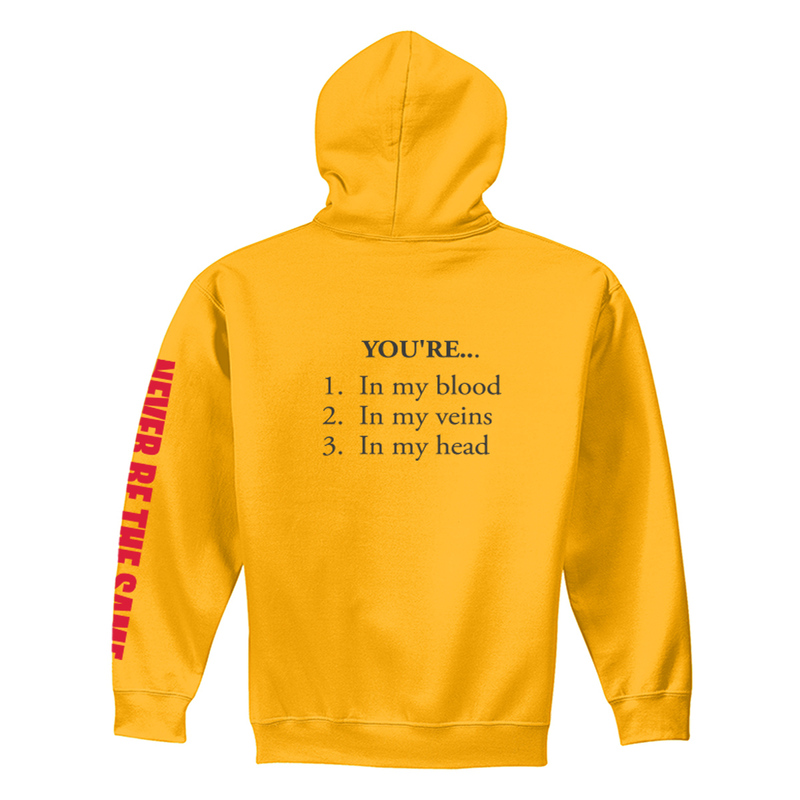 this hoodie is the best freaking hoodie ever omg. I've been living in it ever since I got it. it's so cute and soft. definitely recommend. I LOVE IT. i love you camila. so proud of you bby. and I'll never be the same. its soooooooo soft and keeps me so warm. Thanks!